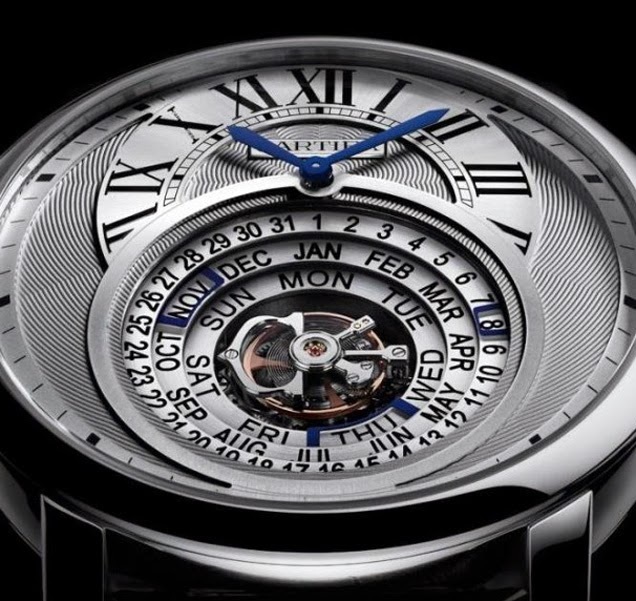 One more SIHH 2014 preview from Cartier (and they are not finished): the Rotonde de Cartier Astrocalendaire, a perpetual calendar tourbillon in a 45 mm platinum case. 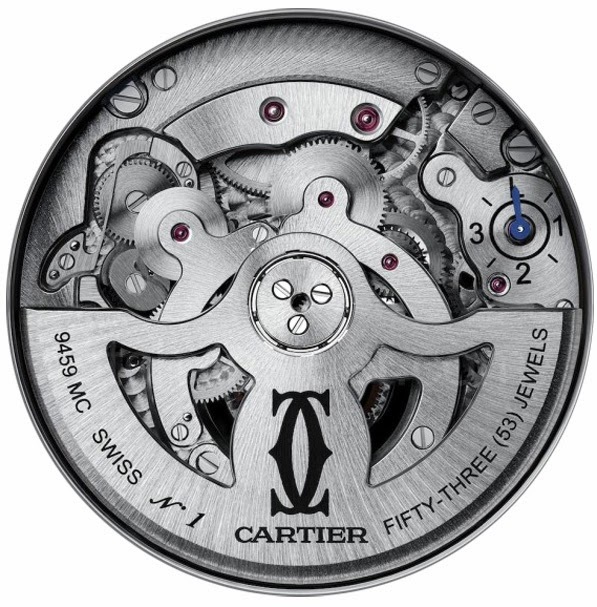 This new Cartier timepiece introduce a new approach to the calendar display by adopting three concentric rings, positioned on different levels, with three thin windows indicating the current day, date and month. The leap year indication is on the back of the watch. The flying tourbillon is positioned at the centre of the perpetual calendar display. Produced in 100 pieces and quality-certified with the prestigious Poinçon de Genève, the Rotonde de Cartier Astrocalendaire houses the self-winding movement Calibre 9459 MC. Price is expected to exceed Euro 150.000. 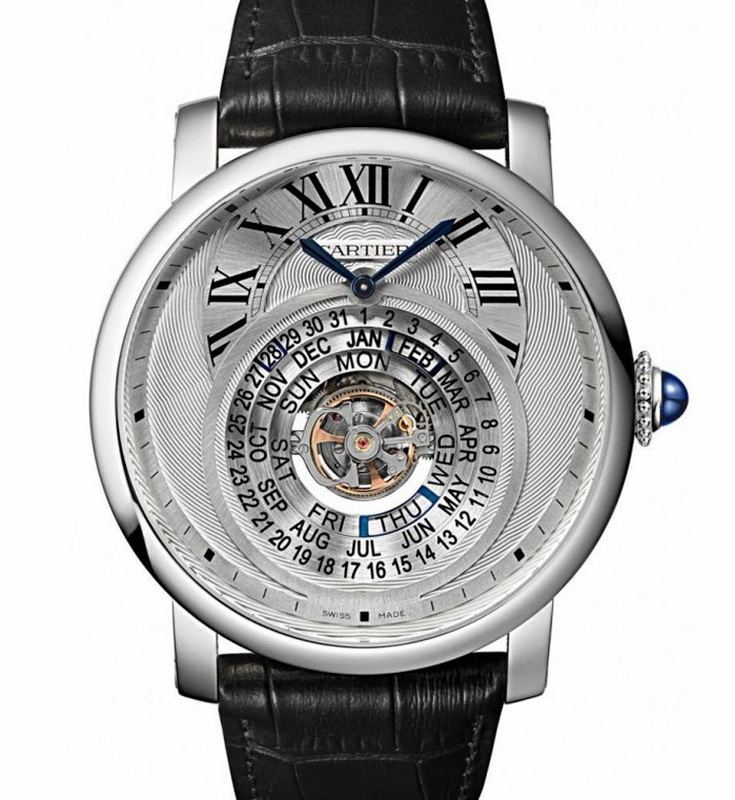 One more SIHH 2014 preview from Cartier: the Rotonde de Cartier Astrocalendaire, a perpetual calendar tourbillon introducing a new approach to the calendar display by adopting three concentric rings with three windows indicating the current day, date and month.